Companions on the Journey: You are invited! 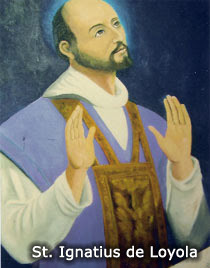 You are warmly invited to celebrate the Feast of St Ignatius on Sunday, 27 July 2008. We hope you will be able to come and join us. Kindly let us know if you are coming by contacting Fr Philip Heng, SJ. Thank you.